I seem to have a Hawaii Hangover. It's a malaise that afflicts every soul that visits this curious archipelago of eight major islands and many more uninhabited islets. Given that we only visited two of those spectacular islands, I am afraid to think of what might have happened had we visited the others. 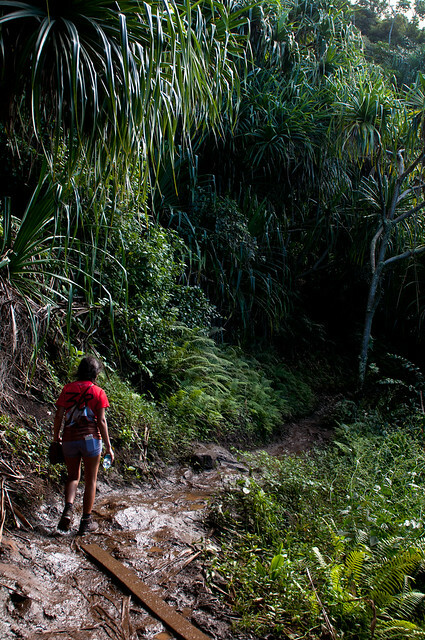 In Kauai, we attempted to hike the treacherous Kalalau Trail. Our goal was short, the first two miles of the 11 mile hike, to Hankapiai Beach. It should not have been a big deal. We typically hike trails that are 5-6 miles round trip, between 6,000-10,000 feet in elevation. This was at sea-level and a mere 4 mile round trip. How difficult could it be? It was very difficult. The conditions made it dangerous. It was muddy and slippery from the incessant winter rain. If there is one thing we drop a fair amount of money on, it's hiking boots. Despite wearing hiking boots with excellent traction, we decided to turn back after barely 3/4 mile. There's a reason why it is considered one of the 10 most dangerous trails in the US! 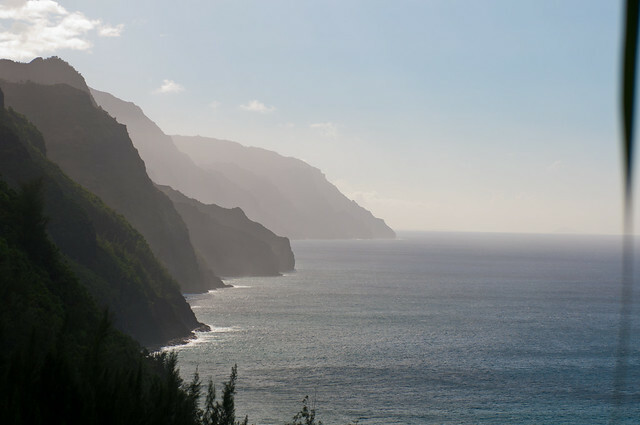 The views of Kauai's Na Pali Coast, though, were unbelievable!